A hemoglobin test measures the hemoglobin levels in your blood. Hemoglobin, also known as Hb and Hgb, is a protein that's contained within your red blood cells (RBCs) that carries oxygen to, and carbon dioxide away from, the rest of the cells in your body. Without the right amount of hemoglobin in your red blood cells, your other cells can't function at their optimal levels. Your doctor might do a hemoglobin test if she suspects a condition that affects hemoglobin levels or as part of a routine check-up. When your hemoglobin level is abnormal, the distinctive shape of a red blood cell—which looks like a donut that doesn't have a complete hole through the middle—is altered. Having the right shape helps red blood cells to travel through the blood vessels and do their job. A malformed red blood cell may not be able to perform its functions in the body. And a red blood cell of the wrong size or shape may have trouble passing easily through blood vessels. Hemoglobin levels outside the normal range can indicate a number of different medical disorders, and your doctor may order the test to screen for them or as part of a diagnostic workup. Your doctor may also do a hemoglobin test if you have a family history of sickle cell disease, thalassemia, or another kind of genetic blood disorder to keep an eye on your levels and investigate further if they start becoming abnormal. If you just had a baby, a hemoglobin test will likely be a part of a comprehensive newborn screening. The screening can help identify hemoglobin disorders such as sickle cell disease and thalassemia. Know, though, that a normal hemoglobin level will vary slightly from person to person. As such, a hemoglobin test isn't specific enough to be used by itself to diagnose any particular medical condition. Knowing what your level is, however, can help give your doctor a place to start. In most cases, your doctor will use the results of the hemoglobin level test along with those of other blood tests, usually a hematocrit level test and/or a complete blood count (CBC). The hematocrit level is the volume of red blood cells measured in your blood and a CBC looks at how many and what type of cells are in your blood. Other test results, as well as a history of your signs and symptoms, may also be used to determine what's happening in your blood. If you've already been diagnosed with anemia or polycythemia vera, your doctor may regularly order hemoglobin tests to check your levels. The results can help determine if your treatment plan needs to be tweaked. Blood tests have very few risks. You may have some bruising or swelling in the area in which the needle was inserted and, as with any opening in your skin, there's a slight risk of infection. You may also feel dizzy, lightheaded, or even faint if you're squeamish around needles or blood. If you're on a blood-thinner such as Coumadin (warfarin), you may need a pressure bandage afterward to stop the bleeding. You may have your hemoglobin test done as a part of your medical examination since there aren't any special fasting requirements beforehand. Your doctor will let you know if you're going to have any other blood tests done at the same time and what instructions you may need to follow. He may tell you if there's something specific he's looking for and whether or not you might need more tests as well. The process of taking a sample of your blood normally takes less than five minutes, so you'll be in and out quickly. The test will most likely be done right at your doctor's office; you may even have the test done in the same room in which your doctor just examined you. However, depending on the circumstance, you may need to go to a separate part of the building in which your doctor is located, to the lab at your local hospital, or somewhere else your doctor has indicated. You don't need to wear anything special for a hemoglobin test, but avoiding tight shirt sleeves is helpful since you'll need to roll up your sleeve so the technician can access your vein. If your doctor decides to do other blood tests at the same time as your hemoglobin test, you may need to go without food and drink (fast) for a specific period of time before your blood draw. If you just have a hemoglobin test, no fasting is required. Your doctor will let you know what to do. The cost of this test varies, but it should be covered by your health insurance, especially if you have it done in the same facility as you had your doctor's appointment. If in doubt, contact your health insurance company at the number indicated on your membership identification card. There isn't anything in particular that you need to bring for this test. You can bring along a book or magazine to pass the time while you wait to have your test done, if this applies. A lab technician will perform your hemoglobin test. This is usually a nurse or a phlebotomist—someone who is specifically trained to draw blood. You may need to fill out some forms prior to having your blood drawn. When you check in for your test, whoever is at the front desk will let you know. These may include forms that authorize your doctor to bill your insurance company or release your test results to other physicians, for example. This test typically takes less than five minutes. Your blood sample may be drawn by a prick to your fingertip or with a needle in your arm. If you're having a finger prick, this is quick and easy. After your fingertip is cleaned off with alcohol to remove any germs, it'll be quickly pricked with a tiny needle and the blood that results will be collected. You may feel a sharp poke, but it only lasts for a second. For blood samples that are taken from your arm, after you sit down, the technician will have you choose the arm you'd prefer to use and roll up your sleeve if needed (many people choose their non-dominant side). Then he or she will find the best vein, often in the inside crease of your elbow, and tie a tourniquet above it to push more blood into that vein. After the area is swabbed with alcohol to disinfect it, the technician will insert a small needle into your vein and collect your blood in a tube. You may feel a small poke, but you should feel more discomfort than pain. The technician will remove the tourniquet before removing the needle from your arm and then press a cotton ball or tissue over the entry site to stop any bleeding. If the area looks like it's not going to stop bleeding, the technician may apply a bandage to help keep the blood contained. If your baby is the one having this test, usually his or her heel will be pricked for a blood sample. If you have a tendency to feel lightheaded or dizzy around needles or blood, it's probably best to look away during the procedure. Tell the technician if you feel like you're going to faint and/or if you have fainted before during a medical procedure. Once your arm has stopped bleeding or you have a bandage applied, as long as you aren't feeling dizzy or faint, you'll be free to go. If you're lightheaded or dizzy, you may need a little time to recover, but you'll be able to go about the rest of your day as soon as you feel up to it. Once you're done with the test, you can go about your normal activities. You may experience some bruising, swelling, or slight pain in the area the needle was, but this should be minor and should only last a few days. If it lasts longer or is getting worse, call your doctor. The results of your hemoglobin test can take anywhere from a few minutes to a day or two to come back, depending on where your blood sample is sent. As mentioned above, a hemoglobin test is often ordered as one part of a CBC. Hemoglobin levels in the blood are often measured as grams per deciliter of blood (g/dl), but other measuring units may also be used. The type of units used will depend on what's commonly used by the lab that's processing the blood samples. Each lab will have its own definition of a "normal" hemoglobin range; therefore, the levels given below are only examples of what's normal and shouldn't necessarily be used to compare with any actual test results. It's also important to remember that normal levels may depend on factors such as your ethnicity and age. *Consult your lab or physician for appropriate reference ranges for your results. If your hemoglobin levels are outside the normal range, this doesn't necessarily mean that you have an underlying medical condition. There are a whole host of factors that can affect your test results including menstruation in women, your hydration level, medications you're on, and your activity level. For this reason, your doctor may want to check your hemoglobin level again. However, if your doctor suspects that there's an underlying condition that's responsible for your abnormal hemoglobin levels, he or she may want to do some additional tests to find out the cause. For instance, if you have anemia and your doctor thinks that it may be caused by a condition such as bleeding ulcers or kidney problems, you may have some tests to check for this. But if your anemia is caused by a chronic disease or an obvious vitamin deficiency, for example, additional testing won't be necessary. Low hemoglobin and anemia are common, especially in people with chronic illnesses like inflammatory bowel disease (IBD). Getting the underlying disease under control will help in correcting the problem. There are other effective treatments that a physician can prescribe to treat anemia too. If you have a high level of hemoglobin and your doctor suspects that it's the result of a condition like polycythemia vera or heart disease, you may need more blood tests and a bone marrow biopsy to confirm the polycythemia vera or an echocardiogram (ECG) or other heart function tests to look for heart disease. If the high level is caused by something like a burn, exercising too much, or dehydration, you won't need additional testing. 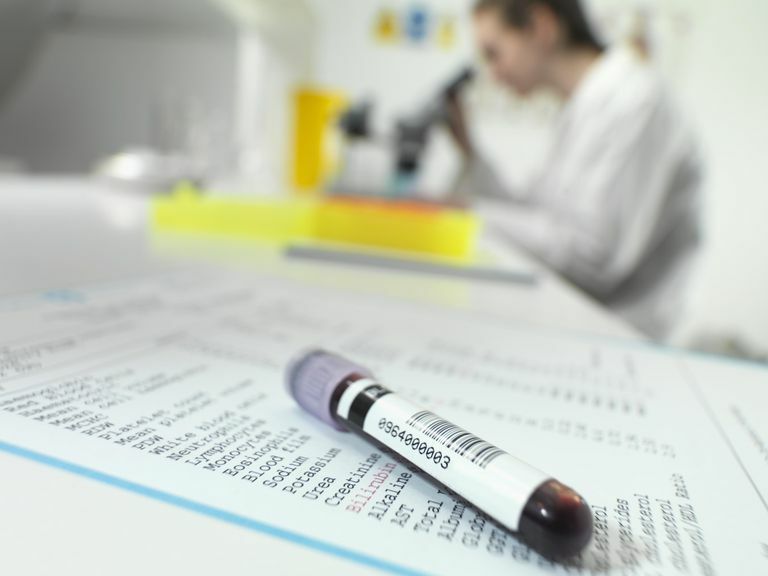 If your blood test results indicate that you have an inherited blood disorder such as thalassemia or sickle cell anemia, your doctor will work with you to come up with a treatment plan. This could include medications or blood transfusions, depending on the severity of the disease. Your doctor will let you know what the next steps are, if any, in the event that your hemoglobin test results are abnormal. Talk to your doctor if you have any questions regarding the levels reported in a hemoglobin test and what they might mean for your health. Waiting for test results can be anxiety-provoking. Fortunately, the results of your hemoglobin test should come in fairly quickly. If your test results are abnormal, don't panic. Your doctor will let you know if you need to have the test done again or if you need some additional tests to rule out other causes. Try to take each hurdle one at a time and be sure to keep communication open with your doctor, asking questions and voicing concerns when you have them. This will enable you to feel empowered in your care and help you understand better what's happening. Why Should I Care About Sickle Cell Trait If It Isn't a Disease? How Does Hydroxyurea Work in Sickle Cell Anemia?